Jean Isabel Melzer, the first woman in the Australian Labor Party to be elected to the Senate from Victoria, was born in the Melbourne suburb of Elsternwick, on 7 February 1926. She was the eldest of the three daughters of George Kenneth McLeod and Lilian Rosa, née Ford. Jean was educated at state schools at Ormond and Ormond East, Gardenvale Central School, and from 1939 to 1941 at Mac.Robertson Girls’ High School in Melbourne. Her father, an accountant and civil servant, joined the AIF in 1917 and served in France. On the outbreak of World War II, George McLeod was offered a commission to organise the army pay corps in the Middle East, but in January 1940 he committed suicide. Later, Jean said that it ‘was almost as if he couldn’t face up to war again’. Jean ‘loved’ school, but had to leave in order to help support her family, who were facing financial difficulties after her father’s death. Her first job was as a clerk in the State Rivers and Water Supply Commission, where she was one of the first four female clerks employed by the commission. She worked also at radio station 3AW, and in the office of the Building Workers’ Industrial Union, a position she enjoyed, she said, because it involved ‘getting down to the basics of what happens to people in employment’. On 9 November 1946, at Christ Church, Ormond, Jean married William Francis Griffiths, a photographer employed by the Munition Supply Laboratories at Maribyrnong. Jean and William had four children. The family lived at Beaumaris, later moving to Camberwell. When the children reached school age, Jean worked part-time at various jobs, including those of hotel cashier and market researcher, doing, as she said, ‘all those jobs that women do when some money’s better than no money at all’. Divorced in 1961, she was married again on 10 October 1961, this time to Wilton Melzer, a law clerk. There were two children of this marriage. Jean was politically aware from an early age. At high school, a history teacher encouraged Jean’s natural curiosity and questioning mind. As a teenager, she joined the Communist Party. She became an enthusiastic member of the New Theatre, which was affiliated with the Communist Party, acting in some of its plays, assisting in stage direction and designing costumes. It was at the New Theatre that Jean met her first husband. She remained a member of the Communist Party until 1957. She was not, she said, interested in what was happening in Russia, but in applying the theory of communism to Australian society. Melzer focused her energies on the Australian peace movement, working with the United Nations Association and the Women’s International League for Peace and Freedom. She became active in the Council for Civil Liberties, the League of Women Voters of Victoria and in local organisations concerned with establishing community libraries and kindergartens. The Vietnam War, together with the reintroduction of conscription, took her closer to direct political engagement. She joined the organisation Save Our Sons, formed to protest against conscription, and participated in demonstrations against the war. After Labor lost the 1966 federal election, Melzer, driven by her belief in social justice, realised that what she ‘really wanted to do was change the way we were governed’. She joined the Camberwell branch of the ALP, became its secretary, and worked as campaign director for the federal seat of Chisholm at the 1969 House of Representatives election, and at a 1970 by-election. 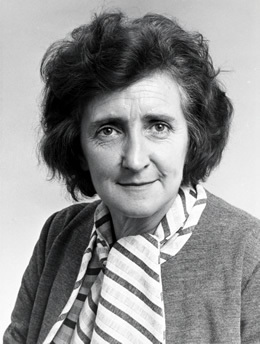 From 1971 to 1974 she served as state secretary of the Victorian branch of the ALP, and was responsible for organising the ALP’s Victorian campaign for the House of Representatives election of December 1972. At the Victorian campaign launch, she ‘made a down-to-earth speech about the role of women’. She participated in the heady days of Gough Whitlam’s election victory, and would recall that ‘the euphoria was extraordinary … it was like a great big party throughout Melbourne’. Melzer described her preselection for the Senate as a ‘sheer accident’. The centre unity faction, to which she belonged, wanted a woman to stand for the Senate, but none was willing, and only then did Melzer nominate. After the double dissolution of 1974, she was allotted a virtually unwinnable place on the party ticket, but when one of those nominated stood down, she moved up the ticket to fifth place. Successful at the federal election of 18 May 1974, Melzer was sworn in the Senate on 9 July. In her public statements, Melzer identified herself as a Labor ‘battler’. Years later, she said that she would never forget the night on which she realised that she was certain to be elected. ‘It was 3 a.m. and I was in a cold sweat. What have I done? How would I manage? I had six children, two of them were still at primary school and at home with me—and no husband’. (She had been divorced from her second husband in the same year as her election). She spoke of her struggles as a single parent, and believed that family responsibilities were a major barrier to women in achieving preselection. Melzer said that at times she found combining her personal and political roles difficult, but described her children as ‘very strong little people’. In her first speech in the Senate on 10 July 1974, she discussed the difficulties encountered by women, migrants and Aboriginals as among those ‘who through accident of birth or lack of education’ were vulnerable members of society. The function of government, she believed, should be to protect such people from exploitation and to provide encouragement and support. Melzer was critical of what she perceived as feminist denigration of stay-at-home mothers. She declared: ‘I’ll be there to put the view of women that are housewives’. In fact, she adopted a broad approach to the situation of women in Australian society. She paid close attention to the difficulties of working women, attacking instances of discrimination in the workforce, in employment training schemes, as well as those arising through the inadequacies of childcare, and the distribution of superannuation benefits. She was scathing about the patronising advice offered in a brochure published by the Women’s Bureau of the Department of Labour—‘One knows that it is directed to women because it has a rose on the cover’—in which it was suggested that if ‘you have young children, be able to satisfy the employer that they will not unduly take your attention from your job’. In March 1976 she moved a motion asking the Fraser Government to continue and to expand projects commenced during International Women’s Year 1975, and to take ‘urgent and immediate steps to eliminate all forms of discrimination against women in Australia’, and worldwide. In the following year, she criticised government senators who ‘talked of the woman’s place being in the home … they are not very realistic and they do not look on women as human beings’. She pointed out that women at that time made up 39 per cent of the workforce. Above all, she emphasised that the Labor Party wanted women to have a choice. Melzer was a strong supporter of the National Health Bill, which established Medibank, passed during the joint sitting of Parliament in August 1974. She accused the Opposition of a ‘constant hysterical and deliberate attempt to misrepresent the scheme’. Melzer was committed to the improvement of living conditions for Aboriginal Australians, including the attainment of land rights. In 1976 she told the Senate: ‘I have sat with my friend Neville Bonner in Aboriginal camps and I have cried with him over the conditions that Aborigines live in in his State of Queensland. I wish that he would talk more loudly and more often about how Aborigines are treated in his State’. In accordance with ALP policy, Melzer believed in the abolition of the Senate, though this did not hinder her significant contribution to the work of Senate committees, especially those concerned with health and social welfare, the environment, Aboriginals and Torres Strait Islanders, and family law. In the report of the Standing Committee on Social Welfare, Drug Problems in Australia, Melzer submitted a dissenting report opposing the decriminalisation of cannabis. As a member of the Joint Select Committee on the Family Law Act, she supported a dissenting report that objected to a recommendation that the court take into consideration the marital conduct of an applicant in determining maintenance. In 1981 she journeyed to Antarctica with the Joint Standing Committee on Public Works. Melzer, who enjoyed the practical detail of committee work, applauded the expansion of the Senate’s committee system during the 1970s. She believed that ‘a tremendous amount of good work’ was done by these committees, but regretted that so much of it was ignored by government. She had a gift for repartee. In February 1975 Senator Magnus Cormack told her, ‘You have been living in an intellectual zoo for most of your life’. Melzer responded, ‘No, I have been here for only 6 months’. Her valedictory address to the Senate in 1981 was preceded by a speech from Senator Puplick, who said that ‘one can be an effective parliamentarian … only if one is supported by an exceptional woman’, to which Melzer responded sharply: ‘Perhaps if I had had a woman at home I would not have been leaving at this stage in my career’. In 1977 Melzer narrowly missed election to the shadow ministry. The next year she served for three months as deputy chair of Caucus and was then elected Caucus secretary, a position she held until her departure from the Senate in 1981. Capable and articulate, Melzer was, by 1979, a popular figure, but this did not prevent her political extinction when the Victorian ALP dropped her to third position on the party’s Senate ticket. Senator Cyril Primmer, backed by the left of the ALP, gained first place on the ticket, and a centre unity candidate, Robert Ray, won second place. Melzer expressed disappointment that the Victorian ALP was appearing ‘sexist’, when across the country the party was trying to change negative views of women as prospective politicians. Labor women rallied around her and organised a special conference to consider the ALP ticket. Melzer made an impassioned speech, saying, ‘You may win the battle today, but we will win the war’. In the end, it was probably environmentalism and factional politics that caused her defeat, rather than her feminism. Melzer was a vocal supporter of a ‘no uranium’ policy at a time when cross-factional groupings within the ALP were seeking to soften the official party policy, which called for a moratorium on the mining and treatment of uranium, and committed the party, should it win government, to repudiate any existing contracts agreed to by previous governments. She had strayed from the factional line of her centre unity group in two preselection contests. In particular, her crucial backing of Clyde Holding against Simon Crean in Melbourne Ports was held against her. There was well-founded speculation that Melzer would not have supported future Prime Minister Bob Hawke, who had won preselection for the House of Representatives seat of Wills. At the following election on 18 October 1980, Hawke won Wills while Melzer was defeated for the Senate. In 1980 she was dropped from the Victorian ALP’s status of women committee, of which she had been a founding member in 1976. The following year, her hopes of gaining endorsement for the state seat of St Kilda were thwarted when promised support from the socialist left failed to materialise, after which she commented: ‘I’m sick of having my blood on the floor’. As a founding member of the centre unity faction, and a beneficiary of federal intervention into the Victorian branch in 1970, Melzer knew all about internecine party politics, and was herself described as a ‘hard-nosed and often ruthless political operator’. But her lifelong habit of questioning received wisdom made her ill-suited to some of the compromises in factional deal-making, especially over Hawke’s preselection and uranium policy. After leaving the Senate, she was unemployed for twelve months; Melzer was told by one Labor senator: ‘What have you got to worry about, Jean? You’re a good catch; you’ll get married in a year or two’. From 1984 to 1986 she was office manager of the Fitzroy Legal Service, and from 1987 until 1994, an administrator with the Dignity, Education and Language Communications Centre. From 1983 to 1987 Melzer was a member of the La Trobe University Council. The memory of political involvement of women that will always be for me the most outstanding is that of the ALP women in Victoria in the 70s standing up and fighting back over the uranium policy … The men saw the danger but their life experience told them that ‘they’ would find a way to contain the danger of the deadly waste material. The family holiday home at Cape Paterson became Melzer’s permanent residence after 1994. She maintained her vigorous involvement with community and social issues, driving regularly to Melbourne to attend meetings of the Rationalist Society, the Union of Australian Women, the Council on the Ageing (Vic.) and the University of the Third Age Network Victoria, of which she was president from 2001 to 2006. President of the Cape Paterson Progress Association and, from 1997 to 2003, of the Bass Coast Adult Learning Centre, Melzer was awarded a Medal of the Order of Australia in 2004, and received the Victorian Premier’s Senior Achiever Award in 2004. Melzer has travelled several times to the Middle East since the mid-1990s, and is forthright in her support for the Palestinian cause. Information obtained from an interview with Jean Melzer, conducted by Geoffrey Browne on 2 Aug. 2007, has been used throughout this entry; The editor is indebted to Peter McCallum, Mac.Robertson Girls’ High School Archives; McLeod, G. K.—Defence Service Record, B2455, NAA; Margaret Geddes, A Great Idea: Peace and Women Politicians of Victoria, League of Women Voters of Victoria, [Gardenvale, Vic., 1987? ], p. 45; Herald (Melb. ), 11 Dec. 1979, p. 25. Geddes, A Great Idea, pp. 45–6; Herald (Melb. ), 18 Nov. 1971, p. 26; Sun News-Pictorial (Melb. ), 9 May 1974, p. 28, 12 July 1971, p. 7; Australian Women’s Weekly (Syd. ), 14 Nov. 1979, p. 15; Laurie Oakes and David Solomon, The Making of an Australian Prime Minister, Cheshire, Melbourne, 1973, p. 186; Ross McMullin, The Light on the Hill: The Australian Labor Party 1891–1991, OUP, South Melbourne, 1991, pp. 332, 337, 354; Herald (Melb. ), 11 Dec. 1979, p. 25. Margaret Reynolds, The Last Bastion: Labor Women Working Towards Equality in the Parliaments of Australia, Business & Professional Publishing, Chatswood, NSW, 1995, p. 76; Herald (Melb. ), 11 Dec. 1979, p. 25; CPD, 10 July 1974, pp. 34–6, 13 Sept. 1979, p. 732; Barry Jones, A Thinking Reed, Allen & Unwin, Crows Nest, NSW, 2006, p. 252; Sun News-Pictorial (Melb. ), 9 May 1974, p. 28; Age (Melb. ), 15 June 1974, p. 3; CPD, 23 Apr. 1975, pp. 1277–9, 26 Feb. 1976, pp. 285–9, 25 Mar. 1976, pp. 817, 821, 17 Mar. 1977, p. 311, 7 Aug. 1974 (J), p. 124. Australian (Syd. ), 20 May 1974, p. 3; Herald (Melb. ), 12 Feb. 1975, p. 23; CPP, 228/1977, 150/1980; Sun News-Pictorial (Melb. ), 14 Jan. 1981, p. 11; CPD, 27 Feb. 1975, p. 536, 12 June 1981, p. 3263; Marian Sawer and Marian Simms, A Woman’s Place: Women and Politics in Australia, Allen & Unwin, St Leonards, NSW, 1993, p. 141. Sun News-Pictorial (Melb. ), 3 Feb. 1978, p. 13; ALP, Federal Parliamentary Labor Party minutes, 22 Dec. 1977, 2 Feb. 1978, 30 May 1978, MS 6852, box 17, NLA; Jean Melzer, Transcript of radio interview with Peter Jefferson, AM program, 15 Oct. 1979, CPL; Ann Millar, Trust the Women: Women in the Federal Parliament, Department of the Senate, Canberra, 1993, p. 85; McMullin, The Light on the Hill, pp. 398–9; Labor Militant, June 1984, p. 7; Age (Melb. ), 17 Oct. 1980, p. 16. Age (Melb. ), 24 June 1980, p. 5; Herald (Melb. ), 28 Mar. 1981, p. 4; Australian (Syd. ), ‘Weekend Magazine’, 18–19 Jan. 1986, p. 7; National Times (Syd. ), 23–29 Nov. 1984, p. 5; Herald (Melb. ), 2 July 1987, p. 11; Labor Militant, June 1984, p. 7; Australian (Syd. ), 1 Oct. 1984, p. 2; Jim Percy, The ALP, the Nuclear Disarmament Party and the Elections, Pathfinder Press, Chippendale, NSW, 1984, p. 44; Australian (Syd. ), 17 June 1985, p. 3; Age (Melb. ), 2 Dec. 1985, p. 5; Reynolds, The Last Bastion, p. 77; Office of Women’s Policy (Victoria), Victorian Women’s Honour Roll, viewed 12 Mar. 2009, http://www.women.vic.gov.au. This biography was first published in The Biographical Dictionary of the Australian Senate, vol. 3, 1962-1983, University of New South Wales Press Ltd, Sydney, 2010, pp. 90-95.